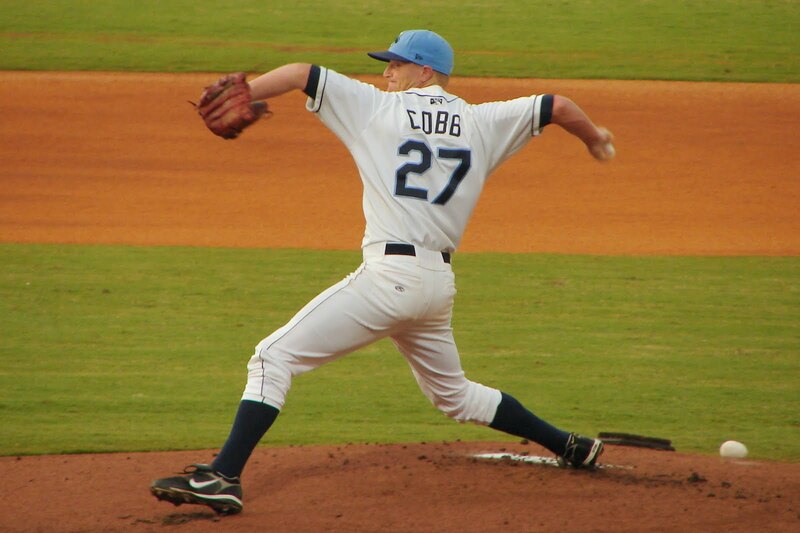 MONTGOMERY, AL – Alex Cobb and two Biscuits (33-25) relievers held the Suns (35-24) to just three hits, and the Biscuits took the series rubber-match from the Suns, 6-0, securing their ninth shutout of the season and pulling to within a game-and-a-half of the Suns on Wednesday at Riverwalk. The nine shutouts leads the Southern League and ties the Biscuits’ totals from 2008 and 2009 combined. Cobb (2-1) tossed 6.2 innings, his longest outing of the season, while striking out six in the win. Darin Downs and Heath Rollins combined to pitch the final 2.1 hitless. The Biscuits got on the board in the first inning. Emeel Salem and Drew Anderson led off with back-to-back singles, and after moving up on a groundout, scored on Chris Nowak’s single to left center to make it 2-0. They’d get two more in the third on a Rashad Eldride triple, scoring Salem, and a wild pitch from Jackonsville starter Jeff Allison (2-3). In the eighth, it was again Eldridge and Salem combining, with Salem tripling to begin the frame and Eldridge singling him home and scoring on a Leslie Anderson single. Allison allowed four runs on eight hits in four innings, suffering the loss. Salem led the Biscuits by going 3-4 with three runs scored. Eldridge, Leslie Anderson, and Matt Sweeney each chipped in two hits. LHP Alex Torres will throw for the Biscuits in the first of five against Birmingham Thursday at Riverwalk against RHP Charlie Shirek, with the first pitch in the air at 7:05. Is Leslie Anderson, the Cuban defector, taking the 1st base position away from Matt Fields? Or are they just trying Anderson at different positions till they find the right fit. Have the short season rosters been announced?